Although dancing in a greenhouses would be inappropriate in most cases, the fun Digital Vegetables installation in Tokyo is enticing visitors to bust a groove among the greenery. Created by Tokyo design company Party, the digitally-equipped greenhouse is filled with plants that set off disco lights and music when touched. Located in Tokyo’s Midtown’s garden space, the installation is part of the Design Touch event, whose 2017 theme is unsurprisingly “touch”. The Digital Vegetable (“Digi Vege” as its known locally) is a fun greenhouse pavilion filled with seven different kinds of veggies. 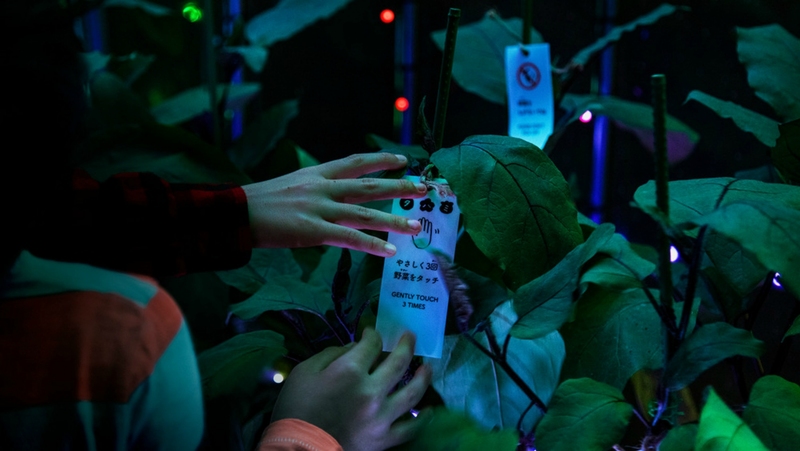 The tags on the veggies invite visitors to gently touch the plant, which is connected digitally to a programmed system that immediately triggers a series of vibrant lights and ambient sounds that run though the pavilion. As for the accompanying soundtrack, sound designer Ray Kunimoto created a melody by mixing orchestra instrumentals with actual recordings of rubbing seeds, touching leaves, and eating fruits. He explains: “Tomatoes are violin, carrots are trumpet, cabbages are oboe, mini radishes are flute, sweet potatoes are piano, eggplants are harp, pumpkins are clarinet”. Although disco dancing in most greenhouses might be inappropriate in most cases, the fun Digital Vegetables installation in Tokyo is enticing visitors to bust a groove among the greenery. 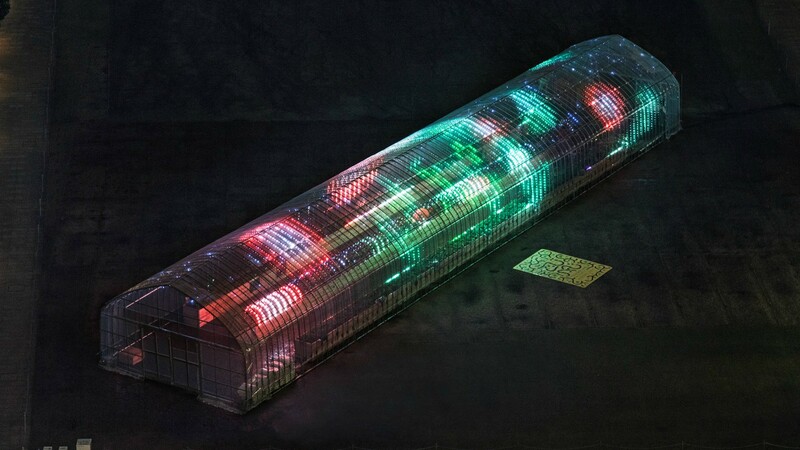 Created by Tokyo design company, Party, the installation is a digitally-equipped greenhouse whose plants set off a disco-like light and sound show when touched. Located in Tokyo's Midtown's garden space, the installation is part of the Design Touch event, whose 2017 theme is unsurprisingly "touch". 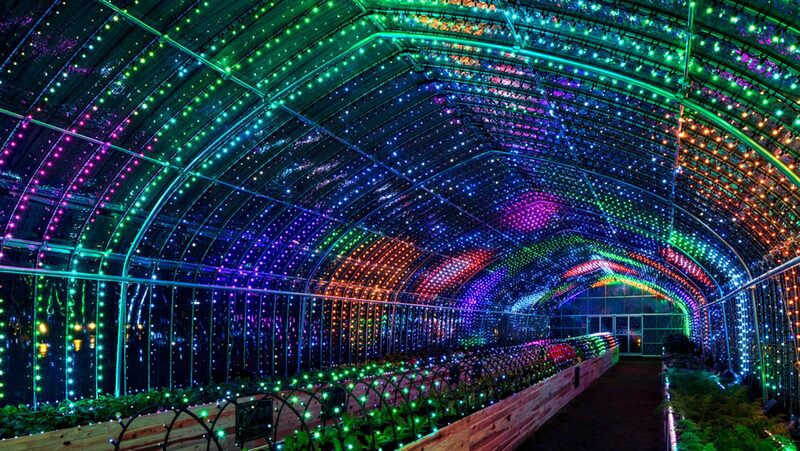 The Digital Vegetable ("Digi Vege" as its known locally) is a fun greenhouse pavilion filled with seven different kinds of veggies. 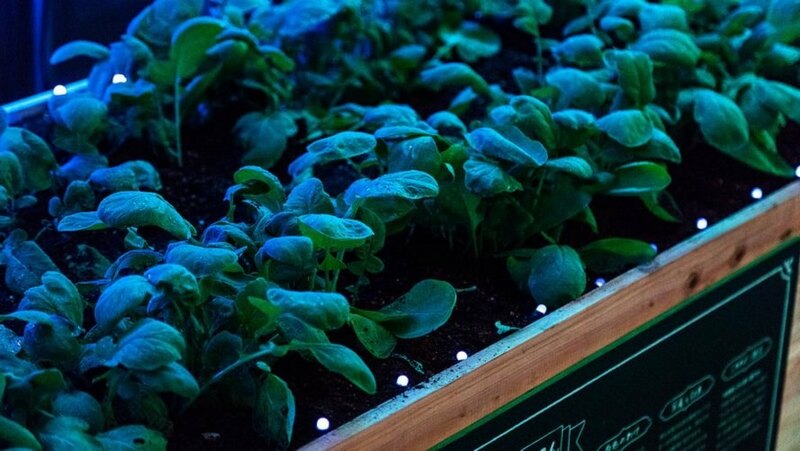 The tags on the veggies invite visitors to touch the plant, which is connected digitally to a programmed system that immediately triggers a series of lights and sounds. The idea behind the fun installation is to encourage people to consider the shapes and sounds that make up the hidden ecosystem of plants. 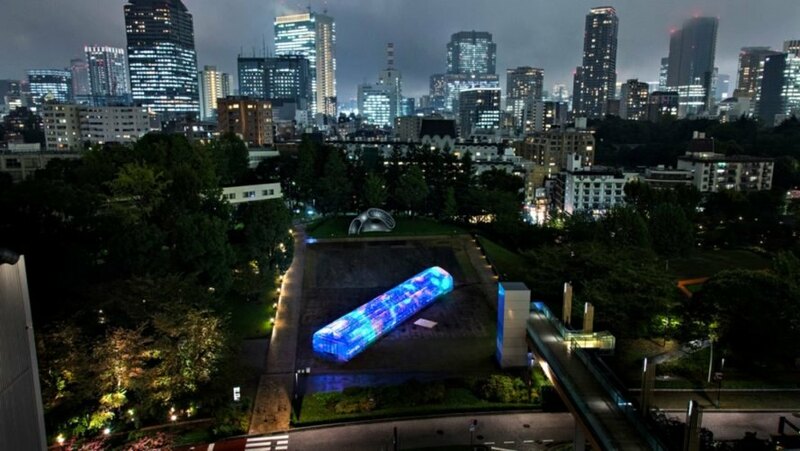 The Digital Greenhouse is currently on display in Tokyo. The entire lighthouse lights up when visitors touch a plant. The plants are digitally connected to set off the light and sound show. 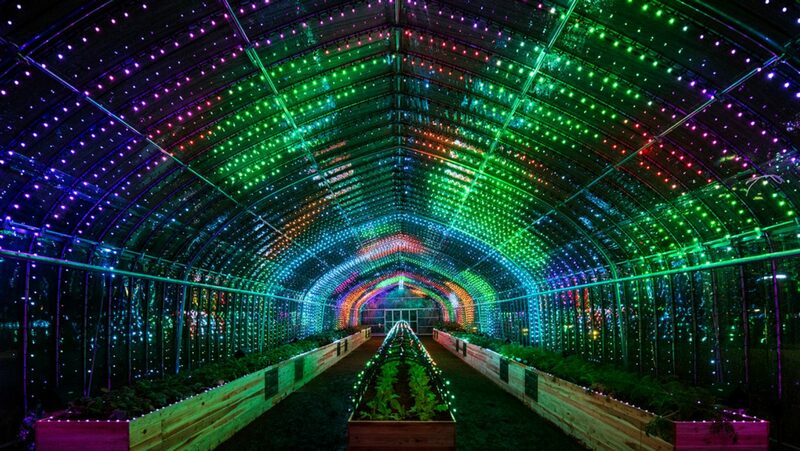 The Digital Greenhouse installation is a digitally-equipped greenhouse whose plants set off a disco-like light and sound show when touched.